Interview with Jason Fung, chief of the department of medicine at Scarborough General Hospital on the board of directors of Low Carb Diabetes Association and the scientific editor of the Journal of Insulin Resistance, chatting about why calorie counting doesn’t work, how to lower insulin levels, and intermittent fasting to encourage fat burning. 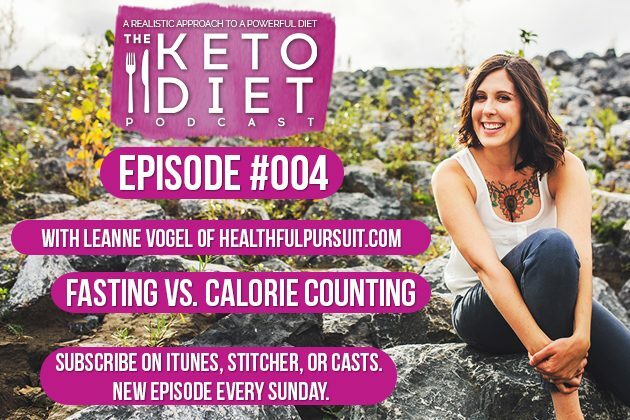 Leanne Vogel: You’re listening to episode number 4 of The Keto Diet podcast. Hey guys happy Sunday. Already October 23rd, can’t you believe it? The awesome thing this week that I’ve been making probably for two months, and I actually shared it on my Instagram stories. If you don’t already follow me on Instagram, you must, because I share a lot of stories on there, both things that I make. You can find me at Healthful Pursuit and I shared this recipe on there. Basically, it’s a fat bomb that takes just seconds to put together and I’ve been eating it probably every day for at least two months. What you do it you take a bit of coconut butter, ground up coconut, and you put it in a bowl and add some melted coconut oil and you mix it together, then you add a scoop of cocoa powder and a scoop of collagen, mix it around, put it in a silicone tray or however you make your fat bombs. Put in the freezer for five minutes. I like to put it in a long silicone tray, one of those ones that you would bake with, and it makes bark and it’s so good. If you need a little bit of sweetness, you can add two maybe three drops of stevia. I like it plain. Not only does it give me fat throughout the day, sometimes I even have it for breakfast so I don’t have to make food. It also gives you collagen and you guys all know how much I love vital protein collagen so it’s a really great way to add collagen in a new way and its like a treat. Today’s episode, we are chatting about the calories in calories out approach to weight loss and totally debunking it. Very excited to share this information with you and get a conversation going. Steps to overcoming insulin resistance, and fasting for weight loss and health management. The show notes for today’s episode can be found at healthfulpursuit.com/podcast/e4. Let’s hear from one of our awesome partner’s before we get started. Leanne Vogel: I do have an announcement today. Kevin and I have been super busy making a Keto shop that’s filled with a bunch of merchandise based on all the little slogans and things that I’ve said in the past or high fat motivational items. It is called ketodietgoods.com and it includes t-shirts, racer tees, sweaters. We’re going to be adding tote bags here pretty soon and probably some hats. If you guys checked out keto diet goods when I lightly announced it on Instagram, there were a bunch of Healthful Pursuit URLs at the bottom and a lot of people said, “I don’t want to pay to wear your URL on my body.” Fair enough, so we removed all of that. They’re really cute. Kevin is my husband, he did and amazing job on putting the shop together and putting together all the designs for the t-shirts. If anything, just go to the shop to check it out. You can go to the ketodietgoods.com. I’ll include a link in the show notes. Very excited to share this with you guys. It’s been a labor of love for a very long time, and it’s finally happening. I’ve been promising t-shirts and swag, and merchandise for quite a long time. Those collections that are on the front page are going to change constantly so if you have an idea for our collection, we have a couple of suggestions already, you can email info at ketodietpodcast.com and let me know what you want to see on a t-shirt. We’ll be swapping out the collections every couple of weeks/months depending on what people like and what they’re asking for, so I’m very excited about that. Then, if you have an idea for a podcast episode, we have been getting lots of ideas, and in fact, today’s guest is one of those ideas. You can reach me at info.ketodietpodcast.com. If you want to submit praise over and above the review that you’ve already submitted … Haven’t you, for the podcast? You have right? You can also email me there, and I am also going to be reading one of the reviews. It comes from Bright Skies and Sunshine. Wow, I like that name. Well, thanks for listening, that’s so great. You also called me entertaining so that’s fabulous. If you would like to leave a review and support my show, you can head on over to healthfulpursuit.com/review and you’ll be directed to a page where you can submit your review. Just click on reviews and write me a review. Give me five stars hopefully and write something nice. Or you can go to your favorite podcast app and search for The Keto Diet Podcast and submit your review there. Today, we have on the show, Dr. Jason Fung. He earned his medical degree at the University of Toronto where he also completed his internal medicine in residency before heading to the University of California, Los Angeles for his fellowship in Nephrology. He currently practices as a Kidney Specialist in Toronto. He is the Chief of the Department of Medicine at Scarborough General Hospital. In addition to clinical medicine, he is also on the Board of Directors of Low-carb Diabetes Association and the Scientific Editor of the Journal of Insulin Resistance. During the course of treating thousands of patients, it became clear to Dr. Fung that the epidemic of type two diabetes and obesity were getting worse. The prevailing dietary recommendations to reduce dietary fat and calories were clearly ineffective. He founded the Intensive Dietary Management program to provide a unique treatment focus for type two diabetes and obesity rather than focusing on medications. This clinic focuses on dietary changes that are simple yet effective. In March 2016, Greystone Books published Dr. Fung’s first book, The Obesity Code, which explores the underlining hormonal imbalance that leads to obesity and recommends effective strategies that address root causes of weight gain. His second book, The Complete Guide to Fasting, will be published October 18th, 2016. I’ve wanted to have a conversation with Jason since forever so I’m so thrilled that he came on the show. Also, he’s a fellow Canadian so I feel like we had an instant bond. What I loved about this episode is that we chatted about calorie counting and how misguided of a tool it is for weight loss and how people use it. It’s such a hot mess, so we talked about that. The ins and outs of insulin regulation. Why some of us have issues with fasting, especially as women. We talked about the Dawn Phenomenon and the difference between fasting and water-only fasts and so much more. Personally, I wanted to set the stage with fasting because if you guys have been following me for a while, you know that I don’t fast all of the time. I fast when I need to, but I find that I feel better personally, hormonally when I do a 14:10 approach most days. We’re going to talk about what that means in the episode. I leave the 16:8 or the 20:4 when I’m traveling or when I’m in meetings all day, but I know that my body doesn’t respond well to long periods of fasting. I don’t personally advocate it because I have a history of an eating disorder and for me, I find that it’s quite triggering and can be triggering for people who have had eating disorders. I hope you love this episode. I hope it gives you the answers that you were looking for. Let’s get to it. Hey Jason, how are you doing today? Dr. Jason Fung: Very good. Thanks for having me. Leanne Vogel: Yeah, I’m really excited to have you on the show. So many of the Keto Diet podcast listeners love your work so they’ve submitted so many questions for you. We’ll try to get through everything. For those listening, who maybe aren’t familiar with your work, why don’t you start off by maybe telling us a little bit about yourself? Dr. Jason Fung: Sure. I’m a kidney specialist. I trained in Toronto to do my medicine and internal medicine. Then I went to Los Angeles to do two years of nephrology which is kidney specialty. Then I came back to Toronto and I’ve been practicing there for about 15 years now. It’s interesting, some people always ask how I got into nutrition and so on, thinking it’s really just a side of what I do but it’s actually not. It’s the heart of what I do. If you look at the most common causes of kidney disease, by far in a way, is type two diabetes. What’s interesting about type two diabetes is that everybody tries to convince you that it’s some chronic and progressive disease but it’s really nothing of the kind. It’s completely reversible. Everybody knows this of course because if you have a friend or a parent, for example, who has type two diabetes and then they lose 50 lbs., very often, the type two diabetes simply disappears. Clearly, it’s not a progressive disease. We’re focused on giving a lot of drugs for these patients but obviously they weren’t getting better, otherwise, I wouldn’t be dealing with the kidney failure down the road. From a kidney failure, I was looking at type two diabetes and then it became obvious that you really have to look at obesity and weight loss if your really going to make a difference to reverse this epidemic. What I found eventually was that, what we thought about obesity and weight gain, was pretty much and completely incorrect. All this focus on calories in calories out, and caloric restriction, and that sort of thing. It was pretty much incorrect, and that’s what led me to look at what causes weight gain. It’s nothing to do with calories; it’s a hormonal imbalance that we have to correct because it’s the hormones that tell our body how much calories to burn and how much to store as fat, right? The problem is the distribution. We switch too many towards storing fat. The question is why? It comes down mainly, not only, to the hormone insulin and that’s where I started. From there, looking at little carbohydrate diets, ketogenic diets. It’s interesting because when I started with ketogenic, low-carbohydrate diets, it works but most people didn’t follow it well. In the end, it was quite unsuccessful. The problem was that my patients were mostly older. They’re 65 plus. Lot of them don’t speak English, lot of them don’t get on the computer. They’re not that interested in figuring out what ketogenic diets are so they didn’t understand what it was that we were trying to ask them to do. We had to come up with something different that would be more successful. In the end we have treat these patients and what we came up with is, the point is not to be ketogenic. The point is for them to lose weight and get rid of the diabetes so they don’t have kidney disease. We used a lot of intermittent fasting, which is a very old technique that for some reason, and now I think about it, I don’t understand why. Everybody’s essentially abandoned that. We’ve used that much more in our clinics to get rid of these type two diabetes. Also, low-carbohydrate diets, ketogenic diets, and all of that thing, all of them are focused on lowering insulin which is the main hormonal driver of obesity. There are some people who it’s not the main issue but for the majority of people, that’s it. If you address that underlining hormonal balance then they lose weight, then their diabetes goes away, and then I don’t have to worry about kidney disease. Leanne Vogel: Totally. You mentioned the calories in calories out theory and you’re saying that concept doesn’t work. Can you tell us a little bit more about the theory, for people that maybe don’t know? Dr. Jason Fung: Sure. It seems like it should work, right? It doesn’t. There’s an assumption underlying the calories in calories out theory that is not true. That is, if you reduce your calories in, you assume that your calories out stay stable. Therefore, you lose weight. That’s assuming, for example, if you start off eating 2,000 calories and burning 2,000 calories, that as you lower your caloric intake to 1,500 calories, that you will continue to burn 2,000 calories. That’s actually not true at all. We have known this for close to 100 years that that’s not true because what happens when you reduce your calories to 1,500, is that your body simply reduces it’s energy expenditure by the same amount, so you drop to 1,500 calories out. Now you’re taking in 1,500 and burning 1,500. You’re eating less but your body is burning less as well, so you’re not losing weight. That’s what eventually causes that weight plateau. The body actually drops it a little further just in case, right? It drops it down maybe to 1,400. Now, even thought you you’re eating 1,500 calories, you’re at a plus 100 difference; therefore, the weight starts to come back up. It’s not because you fell off your diet, it’s because that’s the body’s natural response. If you think about it, it’s because the body doesn’t want to die, right? Dr. Jason Fung: If you stay burning 2,000 calories and went to 1,500, you’d lose a pound a day until all your muscles got burned and you’d be skeletal and emaciated and die. The body doesn’t want to do that. The problem with it is if you think about what happens to the body, it ramps its energy expenditure down so you’re feeling really tired, you’re feeling really cold, but you’re not losing weight. That’s exactly what happens when people go on a diet. If you think about it, for example of as a salary, suppose you earn $100,000 a year, and you spend $100,000 a year. What happens when your salary goes down to $50,000? You don’t continue to spend $100,000. Otherwise, you go into debt, and then you go to jail. Quickly, you reduce your expenditures down by the same amount since you’re not stupid, right? You don’t want to go to jail. The body is the same, right? Why do we assume that the body is so stupid, right? It doesn’t even make any sense, to begin with. The main premise that your energy expenditure is stable is completely false. Then you can go back into the literature and look back, as far back as 1917, right? Close to 100 years ago, they did studies where they put people on these semi-starvation diets. They dropped their calories by about a third and then measured their energy expenditure. Their energy expenditure dropped by about a third. If you go back to Ancel Keys’ famous starvation studies, again, they were not starvation studies; they were caloric reduction studies. They dropped the calories to about 40%, then measured their energy expenditure, and it dropped about 40%. This is why these caloric reduction diets, I call it, caloric reduction as primary because that’s what we tell people to do, right? Eat less. Portion control. That’s your primary goal, to eat less. It doesn’t work. We know it because when you do studies … There is a very large study called the Women’s Health Initiative, which was not primarily a weight loss study but they reduced their calories by about 360 calories per day. Over seven years, they didn’t lose a single pound of weight, which is ridiculous. What it tells you, is that your body has also reduced its expenditure by the same amount. It’s guaranteed to fail. If you look at everybody who’s ever tried a caloric reduction diet, you know they fail. Everybody, every single one of us practically has done it, and it has always failed. If you look at studies of weight loss, in the general populations, you look at population records, the failure rate of these standard treatments is roughly 99%. If we’re giving advice that has a 99% failure rate, why do we blame the people when they fail to lose weight, right? It’s very unfair, right? What you’re doing is blaming the patient. You’re blaming the victim. Here they are, the victim of this really bad advice to cut your calories, reduce your portions, eat six times a day but eat less. They’re the victims of this really bad advice, yet when they continue to gain weight, or they don’t lose weight, everybody turns around and points the finger directly at them and says, “You’re falling off the wagon. You’re not following the diet. You’re not working hard enough.” Right? It’s very unfair. One analogy that I heard is that, for example, two-thirds of Americans are obese or overweight. This has all happened within almost a single generation. Imagine that you have a classroom of 30 children and one child fails. You might blame the child. “They didn’t study enough.” If 20 out of the 30 children fails, you don’t blame the children, you blame the teacher. Right? This is the problem. We’re still blaming the children. We’re still blaming the victims. All those people who are overweight and obese, we all turnaround and point the finger at them but what we should’ve done is point the finger to the advice that we’ve been given because it doesn’t work. Everybody knows it doesn’t work. We’ve known for 100 years that it doesn’t work. We have study after study after study that proves it doesn’t work, yet when it doesn’t work, we blame them. That’s the problem. Leanne Vogel: It’s totally backwards. Dr. Jason Fung: It’s madness. It is absolute madness and this is the whole thing with calories, right? We do these calorie labels and this and that and pretend it’s all about calories, and everybody who does these calorie reduction things, they think it’s evidence-based. What evidence do you have, that reducing calories actually makes you lose weight in the long-term? Over years? There’s zero. Absolutely none. These, “caloric reduction as primary” diets, this paradigm has not even been around for 50 years, right? Nobody knew what a calorie was in 1900, right? Nobody really cared about it. Nobody defined it. Now we obsess about calories. Everybody knows what calories are. Everybody knows how many calories are. We have calorie tracking apps, we have programs to track it, we measure BMR, all this stuff and yet we’re still more obese than ever before. The reason is not that we all suddenly as a society, all simultaneously decided that we wanted to be fat, or let ourselves go, or we all became weak-willed. It’s ridiculous. Obviously, it has to be something systemic. We have to look at the advice that we’re given. That’s where it is, this whole calorie thing. That’s what my first book, The Obesity Code was really about. Was trying to understand what the causes of weight gain are. That’s the most important thing. When you treat a disease, you have to understand what the cause is because that’s what you have to treat. If you understand that an infection is due to bacteria, then you can get an antibiotic, right? You know the cause; you know how to treat it. If you take the disease of obesity and say, it’s all about calories, right? That’s our paradigm. It’s a disease of too many calories. Then you focus on cutting calories, and it doesn’t work at all. The Keto Diet podcast is sponsored by daily yoga. An app that delivers 50 high definition yoga classes so that you can namaste in the comfort of your home, in a hotel room, or anywhere really, with the option of professionally scheduled programs to reach your goals. Whether they are overcoming insomnia, changing body composition, or calming anxiety, the multi-lingual classes, as well as various meditation courses distinguish daily yoga in the app space. After your workout, you’re presented with stats of your workout; time worked, intensity, calorie burned, and so much more. Download the app by going to dailyyoga.com/keto. Access through the show notes or type it in manually to your browser and use the coupon code keto, all in lowercase, no spaces, to unlock all of the programs and courses at once for free for seven days. Again, that’s dailyyoga.com/keto and use the coupon code keto all lowercase, no spaces, to unlock all of the programs. Dr. Jason Fung: You have to get out of the whole calorie mindset because the body doesn’t care about calories. The body only cares about hormones because it’s hormones that tell our body’s what to do. If we have thyroid hormone, it tells our heart to pump a little faster, our blood pressure to go a little higher. We don’t control these things, and neither do we control our body weight in calories. Our body doesn’t care about calories, right? Whether you eat 100 calories or 1000 calories, it makes no difference. It only matters what the hormonal response to those calories are. That’s the whole idea. If you take all your calories and you are shuttling them into fat storage, then you have no energy, and your body will put you into amenorrhea because the body says, “Well, I don’t have energy for menstrual cycles.” It’s all locked away in fat. What’s the problem? The problem is not your weight. The problem is not even your calorie. The problem is how to get at all those stores of energy that are now locked away in body fat. The body can only exist in two states. It’s either in a fed state or it’s in a fasting state. Either energy is going into your body or your body is pulling energy out, right? When you eat, you want to put energy into your body and storage. When you don’t eat, you want to pull energy out. Right now, our body is in a constant state of pushing energy in. You got to ask yourself, what’s the problem? The problem is that the hormone that’s responsible for that is insulin. Insulin is too high. Even when you don’t eat, when you have a lot of insulin resistance for example, when you’ve had a long stint history of obesity, you have insulin resistance. Insulin resistance causes your insulin levels to be high, so your body is constantly getting the message to store energy. When you eat, if you cut down your calories and don’t do anything about the insulin resistance or the high insulin levels, you’re going to eat, those levels are going to be high, and you’re going to store energy. When you don’t eat, your insulin levels stay high, right? That’s the disease, and your body is looking to store energy. It’s not pulling energy out; therefore, your body starts to shut down because it can’t support it. It’s trying to put energy in; it can’t pull it out. Then it makes you hungry, so you go out and get a donut or something, right? To put energy in. This is the whole problem. You can think of it as those one-way streets, those one lane bridges where traffic can only go one way, right? If somebody wants to come the other way they have to stop. It’s the same thing. You can only go one way. Energy either goes in or it goes out and you have to fix that hormonal problem which is the insulin and insulin resistance in order to get at those fat cells to release that energy, right? That’s the whole problem. Not an amount of total calories. That’s irrelevant. You have to fix the insulin problem and the insulin resistance problem which is the main driver of your obesity. Leanne Vogel: How do we switch the traffic? Dr. Jason Fung: Exactly, that’s the key. If you look at insulin … There are two parts. Insulin and insulin resistance. Insulin resistance is caused by prolonged high insulin levels. This is why people who’ve been overweight for a long time have a lot of trouble losing weight because their insulin resistance has been high. Therefore, it’s keeping the insulin levels high; it’s very hard to lose weight. If you want to reduce insulin, you can take foods that stimulate insulin a lot and get rid of them, right? Refined carbohydrates, bread, and sugar are the main culprits. You have to get rid of that. This is a simple idea. If you take 1,000 calories, like three or four brownies, and 1,000 calories of steak and salad, they’re nothing alike, right? But the calorie is consistently the same so you can eat a dinner of a plate of brownies or you could eat a dinner of steak and salad every night. It’ll be the same because the calories are the same. They’re nothing alike. That plate of brownies is going to make you fat; everybody knows that. The salad every night is going to make you slender. What’s the difference? The difference is that when you eat all that refined sugar in the brownies, your insulin goes way up. If you keep eating it night after night, you get insulin resistance which keeps it up and that tells your body to store fat. When you eat the salad with salmon or the salad with olive oil, it can be a lot of calories too but the insulin doesn’t really go up; Therefore, you use the energy but your insulin levels don’t go up so when you don’t eat, your body isn’t able to pull out the energy normally. That’s one thing, to change your diet to low-carbohydrate ketogenic diet. That’s why it works for a lot of people. The other thing is that insulin resistance which is one of the major players, and one of the things we don’t talk about a lot because everybody talks about what you should and shouldn’t eat, but nobody talks about the meal timing. Insulin resistance depends on two things. One is the high levels. The second thing is the persistence of those levels. If you have just one high level and it goes back to normal then you’re fine. It doesn’t make much difference. If you have high levels of insulin all the time, then your body becomes resistant to it which makes your body ramp up the insulin levels even more. There are two things. One is your going to lower your levels by changing your diet and the other thing is, your going to want to have periods of very low insulin to restore that insulin sensitivity. Think of it this way. If you yell at somebody, they jump, right? If you keep yelling at them all the time, pretty soon they just tune you out, right? What do you do? You yell louder. It works at first; then they tune you out again. That’s what’s happening to the body, right? They’re becoming resistant to the insulin because the insulin’s yelling at them to gain weight while the body doesn’t want to gain weight, so it starts resisting is, right? This is the same story as The Boy Who Cried, Wolf. If you do it all the time, it loses its effect. The insulin is screaming at the body to gain weight. The body doesn’t want to gain the weight, so it starts resisting it. Then, because you haven’t changed your diet, and you’re eating all the time, you start ramping up your insulin which screams even louder at your body to gain weight. After a while, it doesn’t even matter what diet you’re going to follow. As longs as you’ve got so much insulin resistance, insulin levels stay high, you’re still going to gain weight. Even if you cut back your calories, this is a matter of meal timing. There are two issues with diet. What to eat and when to eat. We talk all the time about what to eat but we never address the question of when to eat. Those low insulin levels are going to help break the insulin resistance just like for the boy who cried wolf. If you have a period where he doesn’t cry wolf, that will reset the sensitivity. That’s what intermittent fasting does. They work hand in hand, the ketogenic diets and the intermittent fasting, because they’re both trying to do the same thing but they’re attacking different parts of the question. One is attacking what to eat. The other is attacking when to eat. If you only address what to eat and ignore when to eat, your only going to be 50% successful. Once you start adding those periods of intermittent fasting, then you’re fine because you’re restoring the sensitivity. It may take a long time. If you had insulin resistance for 25 years it’s not going to go away in a week and a half, right? It’s going to take a long time but those periods of intermittent fasting help. When your insulin levels drop enough, then you’re going to pull energy back out from those fat cells or the glycogen or whatever. Everybody worries about the number of calories when you do intermittent fasting. We tell people to think of it this way; We tell them, think of it as just eating your fat, right? What’s wrong with that. That’s exactly what we want to do. Say you fast for five days, what your doing is eating breakfast of body fat. Lots of body fat. Dinner, body fat. Great, your stores of fat have gone down but you’re not suffering in any way. This is the difference. If you were to simply cut your calories, you could measure the basal metabolism drop. We all know that. You drop your calories, your metabolism goes down 30%. What’s interesting about intermittent fasting is that your body metabolism does not drop. Over four days of fasting, the basal metabolic rate has gone up by almost 10%. If you do intermittent fasting, so alternate daily fasting, after twenty-ish days, they’ve done measurements of your basal metabolism drops much less than what you do with caloric restriction. If you think about it, say you eat 1,000 calories, right? If you eat that spread out throughout the day, you’ve addressed the question of what to eat but not when to eat. Your body says, “I’m only getting 1,000 calories a day, so I need to slow down my metabolism to 1,000 calories a day.” That’s what happens. You become amenorrheic; you become cold, your hair falls out, you feel tired, you feel cranky, right? That’s what happens to you but if you’re planning to fast the full day and then eat 1,000, so your averaging a 1,000 calories a day but you’re taking in 2,000 calories at once and no other meals, what’s happening is your getting 500 calories at breakfast from body fat and another 500 calories from body fat. Then your 1,000 calories a day at dinner. That 2,000 calories that you’ve pulled out, but 1,000 from food and 1,000 from body fat and that’s not what you do when you simply cut your calories, and you eat from sun up to sun down. Your body says, “Wow” because you keep shoving food in your mouth, energy can only go in. You can’t pull it back out because it’s going in and that’s the difference. There are two questions they have to answer and we never talk about the when to eat and that’s the real problem. That’s why these diets are never all that successful. Leanne Vogel: Right, because people are looking at, if you speak to a “regular person” about fasting, they’re like, “Oh no, no, I couldn’t go that long without eating.” What your saying is that, that analogy where the road only goes one way, what you’re doing is, making the road in reverse and also pairing fasting with that so your body is able to burn your own fuel as well as take in calories or take in energy but be able to use the own energy on your body whereas when the road is the opposite way. Then it’s not going to work because you’re insulin resistant and you won’t be able to access your stored body fat. Is that fair to say? Dr. Jason Fung: Absolutely. That’s the real key. You have to remember that obesity is not a total calorie deficit problem. The problem is that those calories are stored away as fat that you can’t get at it. That’s the problem of obesity, right? The question is, how am I going to get at that stored body fat. Not how am I going to restrict myself some more, right? That’s where this whole calories in calories out idea has completely screwed everybody up because people can’t get their heads around the fact that, yes there’s a lot of energy there. Leanne Vogel: You can’t get to it. Dr. Jason Fung: You can’t get to it. Dr. Jason Fung: Exactly. That’s the whole problem, right? Dr. Jason Fung: This is the idea that you have to change. There are different ways to change it but again, it all come down to insulin. It’s not even necessarily carbohydrates, right? You can eat a high carbohydrate diet and still have very low insulin levels. This is the other thing. It’s not only carbohydrates, there’s a lot of things that affect insulin levels. You remember insulin, when it’s high you want to store energy, when it’s low you want to pull energy out. You need to get that insulin level low so that you can start pulling some of that energy out, but it’s not simple carbohydrates. If you look at the difference between unprocessed carbohydrates and refined carbohydrates, there’s a huge difference. On the glycemic index, for example, white bread is super high, but if you look at things like unprocessed carbohydrates, beans, and so on, they’re very low. There are a lot of carbohydrates in beans for example, but there’s not much of an insulin effect, and that’s the difference, right? There’s a lot of things that effect it: incretins, proteins, dietary fat, fiber, acid, so vinegar and fermented foods, insulin resistance, cortisol, there’s a whole lot of things that affect its levels, rather than simply carbs. If you understand that, you can understand why some people can be completely vegetarian and eat a high-carbohydrate diet and still be very slender because that’s what used to happen 50 years ago. There are lots of people who ate 50-60% carbohydrates. The anouck alwinds, the traditional diet, was sweet potato, so they were eating a lot of carbohydrates, but their insulin levels were very low. They were very slender as a result. It’s not necessarily just about carbohydrates and that’s what you have to understand, yes in North America, it’s mostly due to refined foods but it’s not necessarily that you have to cut all those out. That’s trying to understand a little bit deeper about what causes obesity rather than taking a very simplistic, carbs leads to insulin, insulin leads to fat. That’s only true to a certain extent. There’s a lot of other things that can increase ordecreasee insulin so that you can eat carbs and do very well. Leanne Vogel: I know that a lot of people will have questions about what actually causes my insulin to be as high as it is. You mentioned fiber can help lowering, reducing, or completely removing. Those processed carbohydrates can help but carbohydrates are one piece of the puzzle. Vinegar I know, like apple cider vinegar, that is what I use, and I love that stuff. I totally prescribe to it to help with insulin. Are there other things a person can do in addition, it sounds like fasting, to help lower their insulin? Dr. Jason Fung: Yeah. There’s lots of different ways to get to the same goal. Things like dairy for example. Sticking to full fat dairy for example is more important, so there’s different ways to do it than … The fasting also is a very similar idea. It’s low on everything, right? Some people claim that it’s just because of the caloric restrictions but its really to do with the insulin sensitivity. That’s the real key. If you restrict the amount of time that you eat, compared to diets, with the same number of total weekly calories, but one everyday reduction, and one as every two days where you have severe reductions and five days of normal. It’s very similar to a 5:2 diet that Dr. Mosley prescribed. What was very interesting was while weight loss was the same, the insulin levels were far lower with the intermittent fasting group and the insulin sensitivity was far better with the intermittent fasting group. That’s really the key determiner of success in the long-term. In the short-term, all diets work pretty well, much the same. Even low-fat diets work in the short-term if you restrict calories. Long-term adaptation is very important. The podcast is sponsored by Paleovalley, 100% grass-fed beef sticks. My new favorite gut friendly clean protein snack. There are tons of new snack options on the market today but nothing quite like Paleovalley’s grass-fed beef sticks. They are made from 100% grass-fed and grass finished beef which is rare. Contains all organic spices, are all free of dyes, and are also carb-free, GMO-free, gluten-free, dairy free, soy free, and contains zero grams of sugar. The big reason these beef sticks make me do the happy dance is that they’re fermented. Yes, just like fermented vegetables. As a result, each beef stick contains one billion naturally occurring gut healing probiotics. They’re super convenient, delicious, and great for your gut so don’t miss out. Exclusive to our listeners, Paleovalley is providing 20% off all orders for a very limited time. You’ll also be given first dibs on their brand new, insanely delicious, garlic summer sausage and summer sausage flavors. Just like healthy mini hickory smoked sausages, get your fermented 100% grass-fed beef sticks for 20% off by going to paleovalley.com/keto. Load up your cart, and the discount will be automatically applied. Again, that’s paleovalley.com/keto. Leanne Vogel: You’ve mentioned different forms of intermittent fasting like you spoke about an intermittent fast where you do a couple of hours or maybe you eat one day but not the other. Or maybe you do a fast of five days. Can you go through some of the examples of the different forms of fasting? Dr. Jason Fung: Sure. There’s actually any number of variations. Fasting typically refers to drinking non-caloric fluids only but we generally restrict all sweeteners: artificial chemicals, artificial sweeteners, artificial flavors, that kind of thing as well. The other thing is that you can change that. Some people use fat during fasting, for example. This is bulletproof coffee for example. Bulletproof coffee has a lot of calories, right? It’s almost all fat with very little protein and very little carbohydrates. The reason it’s effective is because dietary fat taken alone has very little insulin effect. What your doing is hacking the body almost, to get the calories to help you with compliance of the fast but at the same time, stimulating almost no insulin at all. It’s very interesting and a lot people do very well on it. There’s different types. We, for example, in longer fasts will allow bone broth which has protein and it has calories so it’s not a true fast. In Dr. Mosley’s 5:2 diet, he allows 500 calories on a fasting day so you can do any variation. As long as your getting good results then there’s no problem. Once you start going into it, there’s several different regimens that are very common. 16:8 is a very common regimen where you eat in an eight hour window. For example, if you eat from 11 am to 7 pm, you will eat all your meals within that time, whether you eat two or three meals is up to you but you always have a 16-hour period of fasting. The idea is to give yourself that time to balance your body being in the fed state and the fasting state. If you think back to the 1950’s it’s quite interesting because back then, people ate three meals a day, breakfast, lunch, and dinner. If you grew up then and tried to get a snack your mom would say “No, you’re going to ruin your dinner.” Now, if you go to 2005, the NHANES survey says that Americans in general are eating about six times a day. We’ve gone from three times a day to six times a day. We go breakfast, snack, lunch, snack, dinner, snack, so we’re eating all the time and that’s going to keep putting on. We’re constantly keeping our body in the fed state, the instant high state and not letting our body pull that energy back out on a daily basis. In the 50’s they’re eating white bread and Oreo cookies, right? Remember, there’s no whole wheat bread. There’s not even whole wheat pasta or anything like that, yet there’s no obesity because they were still having that everyday period of fasting. That’s okay if you want to maintain weight. They did maybe 12-14 hours a day of fasting but if you want to extend it you go to 16 hours then you can go longer up to 20 hours, 24 hours. Another popular one would be to do a 24 hour fast. If you do shorter ones they tend to be more often. If you do longer ones they tend to be less often. 16:8, you might do most days of the week, six out of seven days. If you do a 24-hour fast, it’s dinner-to-dinner, lunch to lunch, or breakfast to breakfast. If you eat dinner at 7 pm, for example, you skip breakfast, then you skip lunch, and then you eat dinner at 7 pm so it’s a 24-hour fast. You have to think of it as, your letting your body eat a breakfast of body fat. Your eating a lunch of body fat and then your eating a dinner. You don’t worry about how many calories you eat. You eat whatever you feel like, and get full. You try to eat real food and you try to stick to a low-carbohydrate diet if you’re trying to lose weight. That, you might do two to three times a week. Then as you go higher and higher, you can go into 36 hours for example. That’s the full day. If you eat dinner at 7 pm, you will skip breakfast, lunch, and dinner the whole next day. Then you would go to breakfast the day after, so that’s 36 hours. Then you can go into longer fasts of three days, five days, seven days, 14 days, 30 days, really as long as you want. Remember a couple of things. One is that hunger is a problem of course, but it peaks at day two. People who have supervised a lot of fat as we have, we’ve probably done more than anybody else in the world, well over 1,000, it’s pretty consistent that people say day two is always the day they go, “Oh I’m never going to make it.” Right? Then what happens is day three, day four, day five, the hunger slowly disappears which is very interesting. If you measure Ghrelin, which is the hunger hormone, you see the same pattern, which is during extended fasting, the Ghrelin levels go down. By day six, day seven, people say, the hunger completely disappears and they go, “I could do this forever.” What you’ve done of course is you’ve lowered the insulin resistance levels low enough that your body is just now feeding on body fat. If your feeding on body fat your not hungry. Why would it be, right? Your getting plenty of sustenance. That’s really what’s happening. You’re not cutting down your energy, you’re forcing your body through the hormonal changes to flip its energy source from food to stored food. That’s all fat is, it’s stored food energy. If you’re going to do these longer ones and do this on a regular basis, we tell people when your eating, don’t try to restrict your calories, right? If you just done a fast and then you want to say, “Oh I’m only going to eat 500 calories,” you really shouldn’t try to do that. You should eat enough until you feel reasonable, right? What always happens, of course, is that the first meal after a fast, everybody eats too much, right? Then you get this big stomach ache. You do that for about a couple of weeks and then you realize “Okay, I can’t eat that much.” It corrects itself. It’s not dangerous. I’ve done it and everybody I know who has done fasting has got those first two or three times they just got a big stomach ache. Leanne Vogel: I’ve done it. It was the worse. I only did it once because I was like, “I’m never doing that again.” As a woman, and there are so many women listening, does fasting change for women? Especially in reproductive age? A lot of women listening, I’m guessing, have a lot of hormone deregulation. We’re talking hypothyroidism, pretty low DHEA, maybe a lot of them have amenorrhea. Are their certain people that shouldn’t fast? Or is the protocol different for women? I think I might understand why a lot of women have problems with it and it could be because what I see often in my practice is that women are fasting. Maybe they’re doing the 16:8 or perhaps they’re doing every other day, whatever their strategy is, and then they’re also reducing their calories on a constant basis like 800, 1,000, and so they’re not … It’s like a hot mess. Dr. Jason Fung: Yeah if your trying to mix up caloric restriction, that part is a problem and then your trying to mix in some intermittent fasting, yeah your going to get into some trouble there. We never try to mix the two. If your fasting you will naturally eat less calories because you won’t be that hungry. The whole issue if malnutrition is that people say, “Well, if your really skinny you shouldn’t fast.” Well, duh. If you are under weight, you shouldn’t be fasting. I’m talking as a treatment for people who are overweight, want to lose weight and so on, right? If your body fat is so low that your body mass index is below 18.5, so generally we put a cut off at around 20. If your BMI is less than 20 then I don’t recommend people fast. That’s just common sense, right? You don’t need to be a doctor to know that, right? Or if your anorexic, “Oh, well you shouldn’t fast.” Well duh. Yes, you should be eating if your anorexic. That’s not the same thing at all. People take sometimes what I say out of context because you’ve got to have a bit of context to what you’re doing. If your 500 lbs then fasting is okay. If your 102 lbs and your BMI is 15, you shouldn’t be fasting. A lot of these models and stuff, they do it, right? They probably shouldn’t be doing it, right? They’re trying to lose that last little bit for whatever they’re doing and this is where it gets a bad name. Leanne Vogel: I think that’s the issue I see a lot of times. These women 30, 40 years old, maybe mid-20’s that really don’t have much weight to lose, if any, and they think that they do. They’re fasting, they’re lowering their calories, they’re trying to do all of these things, and then their body just gives out. I’ve told people, you don’t need to fast if x, y, z. I know for my body, if I get below a certain body fat percentage and it’s “quite high” based on what people would say, but if I get below that, my period stops. For me, I know that I can’t do long periods of fasting. My body doesn’t do well with that. I think when it comes to the body fat and fasting, once a goal weight is achieved or perhaps we don’t have a lot of weight to lose but we want to manage our insulin, is there a way to fast where we’re not going to be losing a ton of body fat but we’re going to be helping our insulin levels? Dr. Jason Fung: Yes, with shorter fasts generally you can maintain your caloric intake. If you do a 20-hour fast or a 16-hour fast, for example, you can generally get all of the calories that you would normally get during the day, in a single meal. You still want to stick to a relatively low-carbohydrate … It’s not the carbohydrates, unprocessed real foods, because if you don’t have a lot of body fat to lose, you are going to be hungry enough to eat that. Leanne Vogel: With fat fasting, you mentioned a little bit before, I did the bulletproof coffee thing but I found that I would get really shaky and really hungry after. I started adding a touch of carbohydrates in the form of a little bit of nut butter and then a little bit of collagen, just a bit of protein, and it totally went away so that’s how I do my fat fasting. People were wondering the difference between pure fat and a little bit under 10 grams of protein, under 3 grams of carbs and a bunch of fat, and whether that is different in the body? How does that relate to pure no food fasting? Dr. Jason Fung: I don’t care what people do, whether you want to eat a little bit or … We tend to use a bone broth one because it’s a traditional food. There’s a lot of these nutrients in it that are supposedly very helpful. All traditional societies use it anyway. I think there may be something to that. Dr. Jason Fung: We don’t worry about that either. There’s actually something called the dawn phenomenon. There’s a variation of it for fasting. Some people will say, “Oh wow, I started fasting and my blood sugar spiked up” till whatever they say, right? It often happens in the morning but it can happen in the afternoon too. What happens during fasting is that your blood glucose tends to drop, then you activate the so-called counter-regulatory hormones and that’s noradrenaline growth hormone in the sympathetic nervous system so there’s actually a way of activating the body to produce more glucose into the system because there’s none coming in through the food, right? If you got a lot of glucose then it may be a little bit over exuberance you get very high glucose levels. That’s in response to the hormonal changes. Those are the counter-regulatory hormones. The thing I always say is why would you worry about it? Because if you don’t eat and your blood sugar goes way up, where do you think that blood sugar came from? Well, it came from your own body so why are you worried about it? It will go back in, right? As you’re eating, it’s liberating a lot of it because it’s trying to feed your system full of glucose. The only reason you’re worried about it is because you measure it and you can see it. We tell people that’s all that’s happening. What it means though, is that you have too much glucose stored away in the body and you need to do more fasting, not less. Those high glucose numbers during fasting are during the dawn period are the same. You get this also something called physiologic insulin resistance, which is something else that you see sometimes in a ketogenic diet where you have people who are eating a very low-carbohydrate diet so their body is mostly burning fat. Then you eat carbohydrates and your sugar spikes way the hell up. Then they say, “Wow, physiologic insulin resistance.” I’m like, “No. Your body is burning fat, now your giving it glucose and it can’t really lose it at first so it stays out in the blood. Eventually as the insulin goes up, all that glucose goes inside. Then what’s the problem, right? With blood glucose you have to understand what’s happening and why it’s going up. Just because it’s up it’s not necessarily a bad thing. Sometimes it’s normal. Leanne Vogel: Brilliant. We covered so much. You’re amazing. It’s so crazy, I had so many things to ask you and as I was about to ask you, you just answered the question. It’s like you were reading my mind. Thank you so much for coming on the show today. Dr. Jason Fung: Thank you. Leanne Vogel: I really appreciate it and I know a lot of people will benefit from the information that you’ve shared and where can people go to find more from you. Dr. Jason Fung: You can go to my blog it’s www.intensivedietarymanagement.com. That’s the name of the program. We run the Intensive Dietary Management program. There’s also my book which is The Obesity Code which covers a lot about the science of weight loss which I think is very important for people to understand, to get out of this calories mentality. Then the new book is The Complete Guide to Fasting which covers a lot of specifics of how to fast, what to fast, the variations of fasting, what to look for, what the problems are when they come up, so it’s more of a hands-on guide to the fasting as opposed to The Obesity Code which touches on it just at the very end because it’s more of a science book. Leanne Vogel: Yeah, perfect, well I will include all of those three links in the show notes which you guys can find at healthfulpursuit.com/podcast/e4 and thanks so much for coming on the show today, Jason. Dr. Jason Fung: Thanks for having me, this was great. 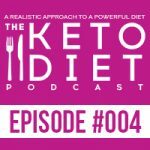 Leanne Vogel: That does it for another episode of The Keto Diet podcast. Thanks for listening in. You can follow me on Instagram by searching Healthful Pursuit where you’ll find daily keto eats and other fun things. Check out all of my keto supportive programs, bundles, guides, and other cool things over at healthfulpursuit.com/shop and I’ll see you next Sunday. Bye!